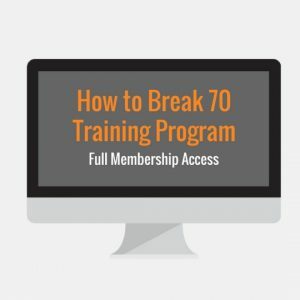 Are your struggling to break 70 consistently? Do you feel like you spend a lot of time practicing but fail to see results and improvement? Do you struggle to handle the mental pressure when you’re close to finally having that breakthrough round of golf? In reality, short game is truly what sets great golfers apart from average golfers. You can hit the ball 300+ yards but those who can get up and down to save par will see success more often than the long bomber. If you want to stand out from the average golfer, then improve your putting from 5 feet and in. Better yet, improve your lag putting. Those with higher handicaps tend to average more 3 putts per round and who likes to 3 putt? The Golf Practice Guides Academy Improvement Series will get you better from all aspects. 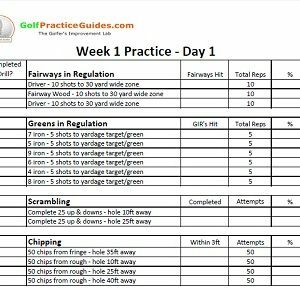 This 12 Week Practice Plan contains 36 different weekly routines that cover Fairways in Regulation, Greens in Regulation, Scrambling, Chipping, and Putting. Discover the practice drills that can lower your golf scores and build your confidence to new highs. This series is comprised of challenging practice plans that take effort and focus to complete. Simply show up to the golf course and complete the 12 weeks of practice plans (36 total) in this eBook within the 12 weeks to build new skills, consistently improve, and foster muscle memory. 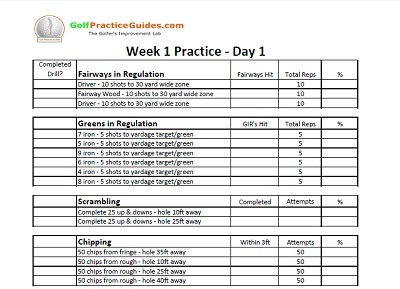 If you’d like to become a member to GolfPracticeGuides.com and receive all the additional content, click this link here to purchase the entire 12 week program and get access to the member only content on our website. Otherwise, continue on in purchasing the 12 week plan worksheet packet! 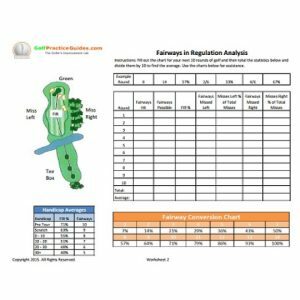 Completing these worksheets will improve your skill level in the 5 key areas: fairways, greens in regulation, pitching, chipping, and putting. Enjoy and I can’t wait to hear your success results as you achieve new low rounds.